Before I get into the details of this post I need to point out that I’m not a fan of the false colour effect in infrared. That said I do quite like the look of the image above. I realise this is a personal choice and you may or may not like the effect. Despite not liking this effect (other than the odd image) I continue to use the technique as I find it often helps in the conversions to black and white. The increased colour seems to make it easier to separate objects in black and white . The starting point for the conversion is an infrared image that has been correctly white balanced. You can see the starting point below. As I have mentioned previously in this blog, getting the white balance correct in Lightroom and Adobe Camera RAW can be problematic. Here is an example of the image as seen in Lightroom despite using the correct custom white balance. I have now found out how to correct this and will post something separately on the subject. Once you have your image white balanced, take it into Photoshop. Here we will do something called a channel swap between the red and blue channels using the Channel Mixer. You can see a screenshot of the channel mixer below. 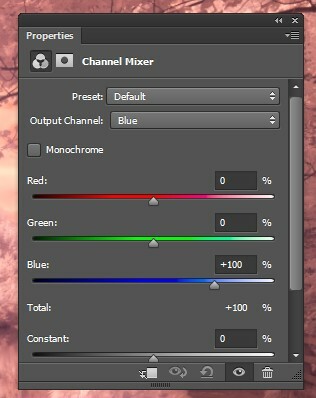 In case you are wondering there isn’t a cannel mixer in Lightroom or Elements. First select the Red channel in the channel mixer. You will notice the red slider is at 100% and the other two sliders are at 0%. Change these sliders so that the blue channel is at 100% and the others are at 0%. Now repeat this process selecting the blue channel. This time set the blue slider to 0% and the red slider to 100%. The channel swap is now complete and you will see an effect similar to that above. You can also swap any two channels and are not restricted to the red and blue. The red and blue channels tend to produce the best results though. Now as I mentioned at the start of this post, I use this technique to support conversion to black and white. With that in mind, here is the final image back and white image. Let me know which image you prefer. I didn’t want to influence any other comments but I agree. Thanks for commenting. I usually prefer the B/W version. As one who shoots a lot of IR, I rarely go for any color as it may look fine in a rare moment, but it becomes rather tiresome. This color inversion, however, does work well, primarily due to the reflections deep in the center. As for the B/W, I no longer use the halation effect much, but prefer to create more structured edges, and with landscapes, use a tint such as sepia, but it is usually selected as a custom tint using Lightroom sliders. I think pure black and white does not look right in landscapes and classic techniques, such as ambrotypes, albumen, calotypes, and gum bichromates as examples of their “colors” are best. Thanks for the well thought out reply John. I do agree that colour effect can become a little tiresome. Interesting comment about the halation effect as I have moved in the opposite direction for my landscape work. It’s where I have manmade objects in the scene that I now prefer the straight approach. Another effect I have found quite interesting is when using a Lightroom converted image (that suffers from the red colour cast), create a B&W conversion and set the B&W layer to around 70-80% opacity. This shows the red colour through and in some instances it makes a nice and unusual toning effect. HELLo sir.. is this the raw file? straight out of the camera shot? please give me the tips on how to properly set up camera settings. Tricky for me to see for certain at the moment as I am working from a kindle but I suspect it’s not the RAW file and has been enhanced in lightroom to some degree. 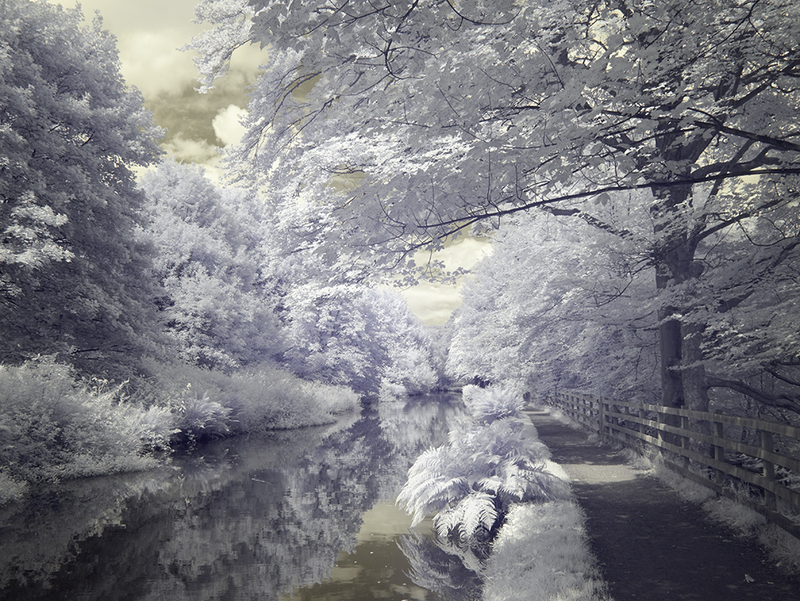 Most images come out if the camera looking very poor unless they have been captured in conditions with strong IR light. You need to do quite a lot of processing to bring out the beauty. I will be posting more about IR processing and also have a book in the pipeline.